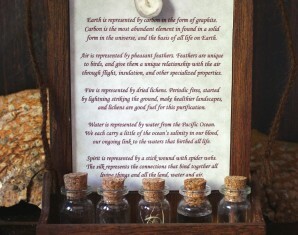 Please inquire here about pricing and purchase. 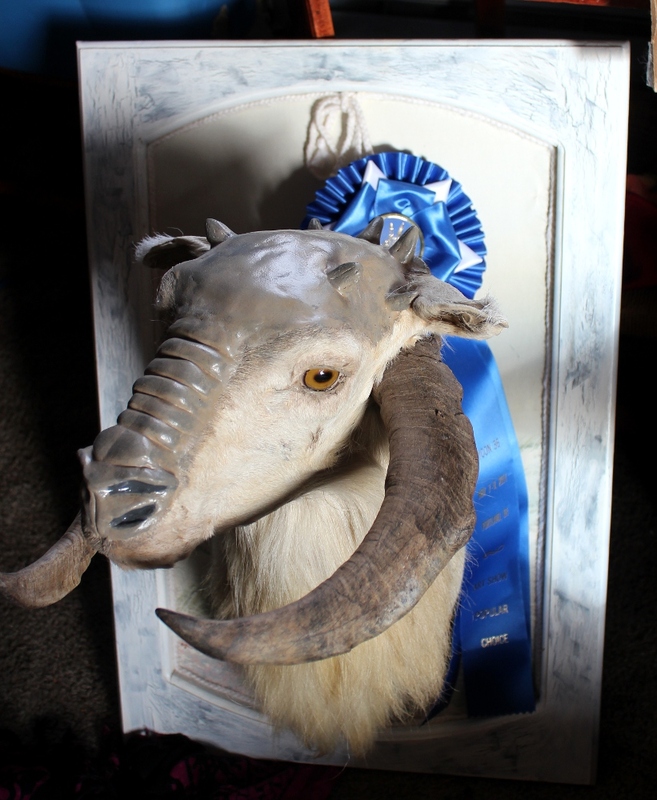 November 2014 – I am pleased to announce that The Teacup Tauntaun took home first place in the Popular Choice category in the OryCon 36 art show! Thank you to everyone who voted for it! 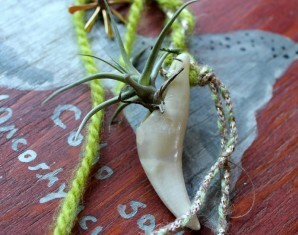 After participating in my first group show at Good: A Gallery, I wanted to see what upcoming themes I could play with. 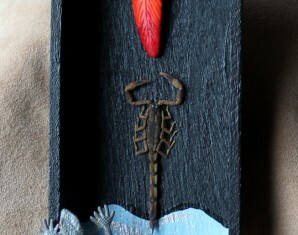 May’s show was dedicated to Star Wars (May the fourth be with you!) and I just had to get in on that! It was a bit of a challenge, since fan art isn’t my usual deal, but I think I did pretty well. So allow me to present to you: The Teacup Tauntaun! 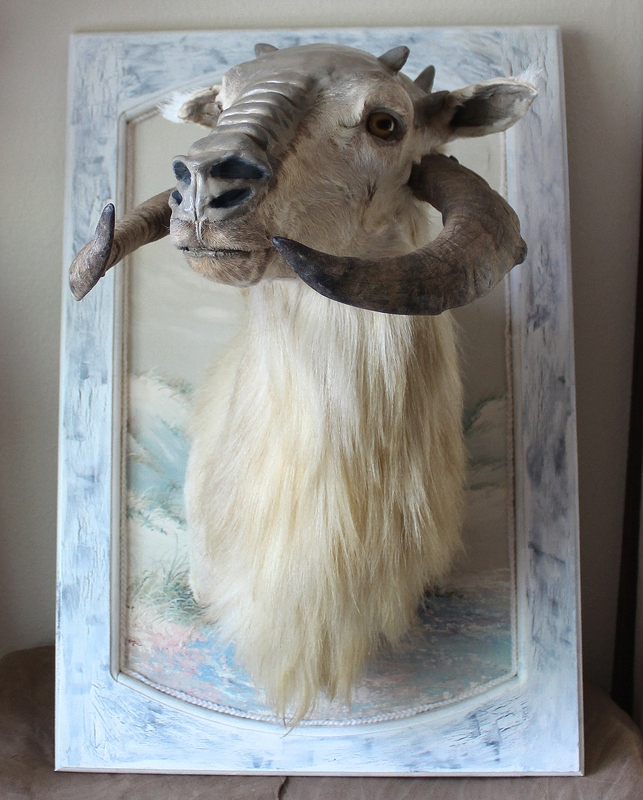 I started with a badly damaged vintage Corsican ram shoulder mount that I bought from Craig’s List a while back. 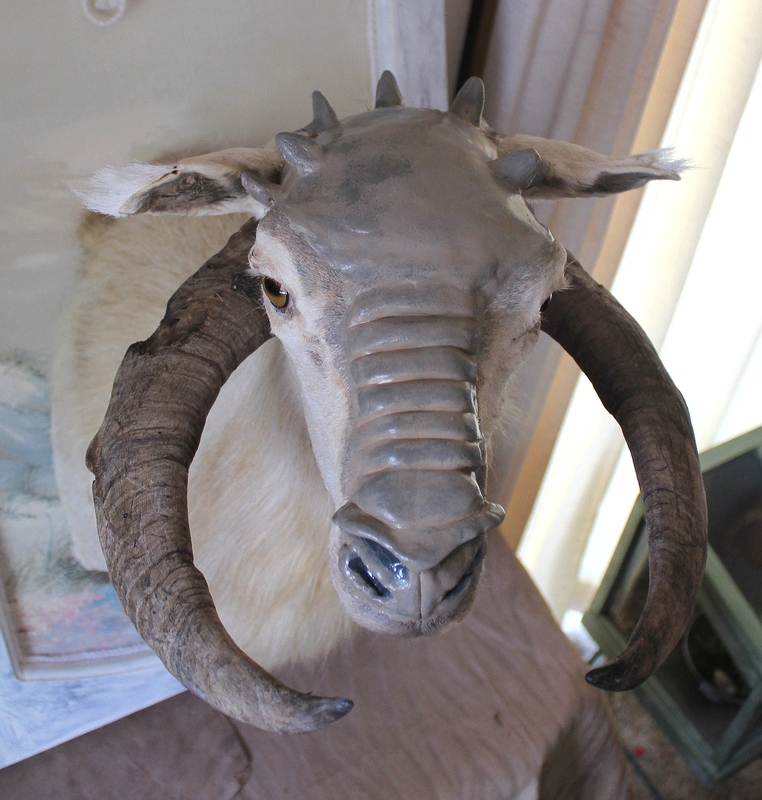 The back of the head was pretty hashed up and the horns needed to be removed as they weren’t firmly fixed–but that’s okay! A few wadded-up old envelopes saved from the recycling bin filled the gap nicely so I could start building up the tauntaun’s trademark facial structure with epoxy putty which I then hand-painted with acrylics. 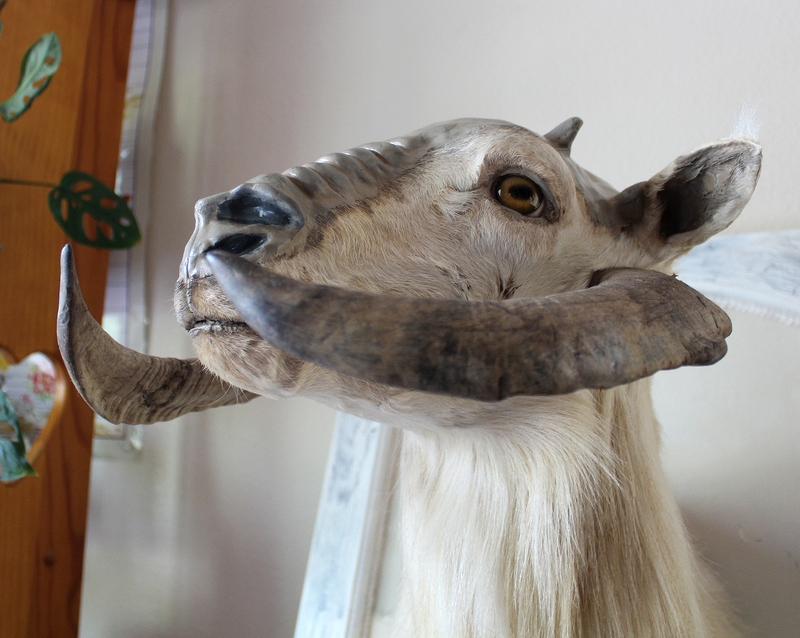 I patched up a few bare spots in the hide, and cleaned up the eyes which were streaked with old taxidermy putty. 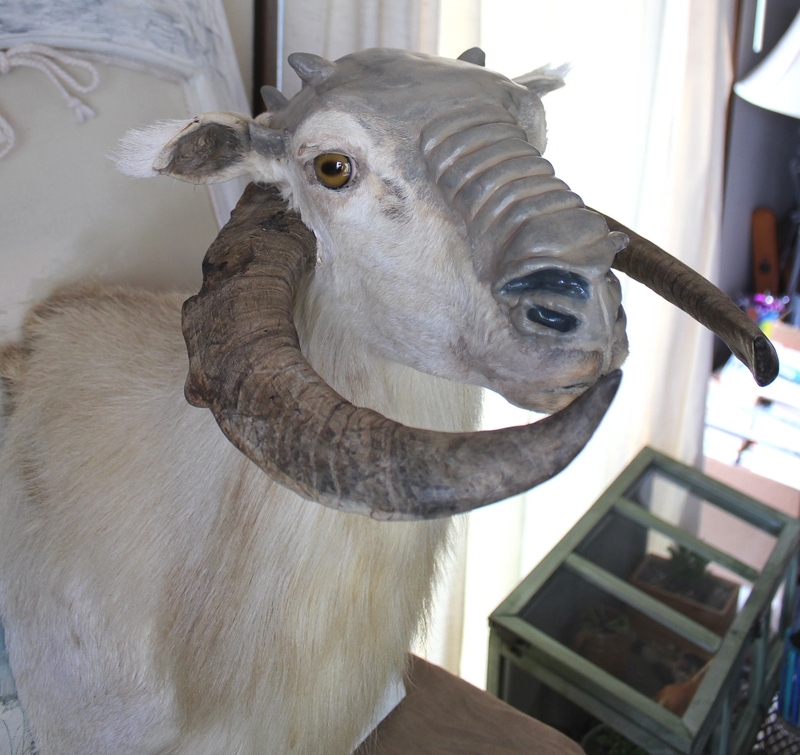 Finally, for the tauntaun’s curved horns, I used a pair of domestic goat horns bought from a taxidermist. 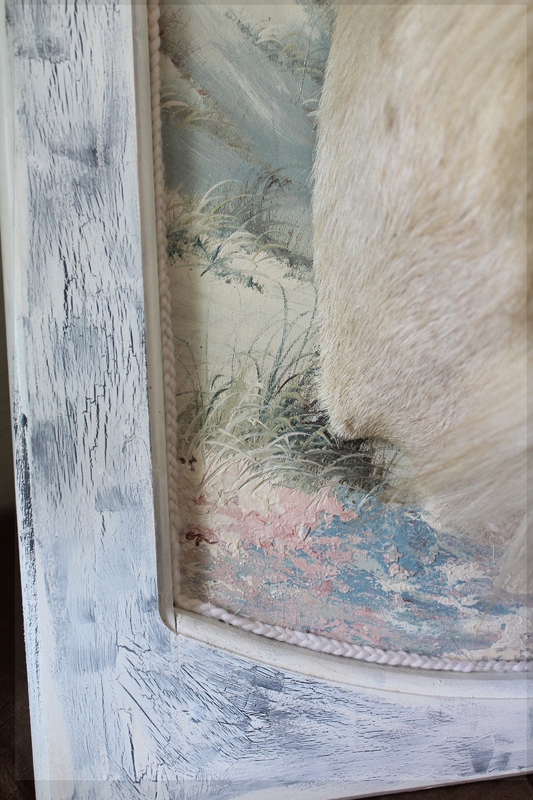 The entire piece is mounted on a backboard made from an old cupboard door that I repainted in white and gray, with a decorative backdrop made from a damaged oil painting salvaged from a thrift store and a border of secondhand white homespun wool yarn. Why such a bright and shiny backdrop for a creature of icy Hoth? 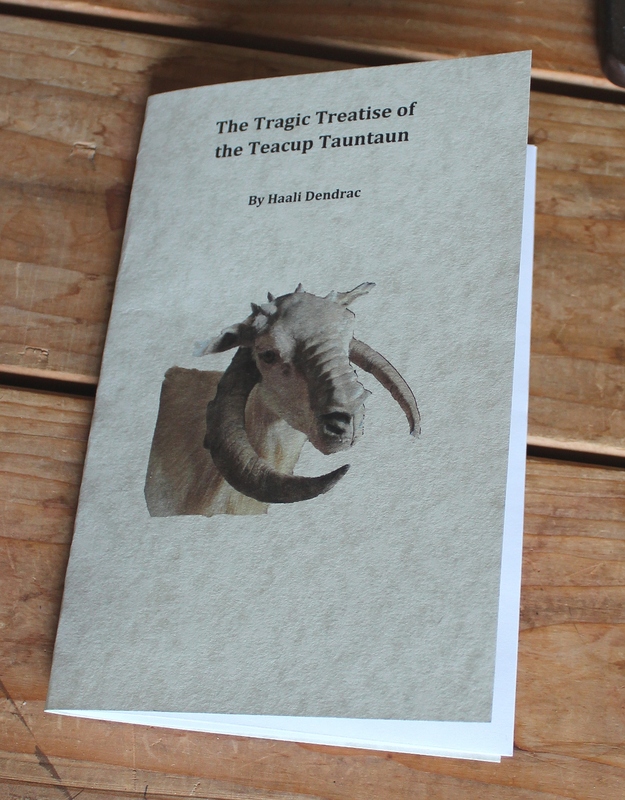 Well, that’s why this piece comes with The Tragic Treatise of the Teacup Tauntaun by Haali Dendrac (my Ithorian pen name). I’ve posted the long version in two parts on my blog (part one and part two), but the short version is that one of the lesser Hutts, as a get-rich-quick scheme, decided that the universe needed a smaller, fuzzier, cuddlier tauntaun in the wake of the First Galactic War.